It remains to be seen just who those two “possibilities” are. Denis Suarez seems certain to be one, despite Barcelona blaming Arsenal for the apparent breakdown in negotiations. The Independent saying Barca’s ‘stance’ over the midfielder ‘has softened’. BBC Sport’s David Ornstein reporting that a loan deal with a summer purchase option is ‘close’. ‘Despite a number of injuries, Arsenal are not likely to bolster their defence,’ Ornstein also wrote. But they could reinforce their midfield. Sky Sports claim that Arsenal, Newcastle and West Ham ‘have asked’ about potentially bringing in Youri Tielemans on loan from Monaco, with Tottenham also interested. Yet it seems likely that Leicester will win that race, striking a straight swap deal with Adrien Silva headed the other way. Arsenal’s other central midfield target is, somewhat surprisingly, Idrissa Gueye. 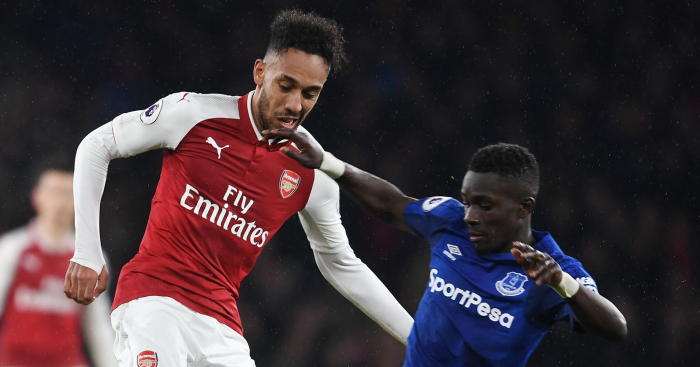 Sky Sports say the Gunners and Manchester City ‘are interested’ in the Everton star, who reportedly handed in a transfer request on Tuesday. Everton are adamant that Gueye ‘is not for sale’, and have rejected a £21.5m bid from PSG. The Daily Mail claim that the Toffees value the Senegal international at closer to £40m. Arsenal are also in the market for a sixth player. Not bad for a side with no money. The agent of versatile PSG player Christopher Nkunku appeared on French television last night, and discussed his client’s links with Arsenal. It was reported that the Gunners had identified the 21-year-old as an ideal squad player who can fill a number of positions, and had worked with Emery previously in Paris. What’s more, Get French Football News say Arsenal’s hopes of signing Nkunku hinge on PSG bringing in a second central midfielder after Leandro Paredes’ arrival. It’s all a bit complicated. Arsenal will just have to make do with one or two of the other five players they want. Borussia Dortmund and Juventus are interested in signing Chelsea defender Andreas Christensen but the Blues want a £6m loan fee for the 22-year-old… Everton have rejected interest from AC Milan in striker Ademola Lookman but the Italian club could return with a formal offer for the 21-year-old… Southampton are in talks with Olympiakos over a deal for Norway defender Omar Elabdellaoui, 27… Benfica’s teenage winger Mesaque Dju, 19, is set to join West Ham on a free transfer… Real Madrid are targeting 21-year-old Eintracht Frankfurtstriker Luka Jovic – who is on loan from Benfica – as a long-term successor to France forward Karim Benzema… Paul Pogba’s brother Florentin, 28, is set to join Atlanta United in the MLS and resume his career under Frank de Boer. 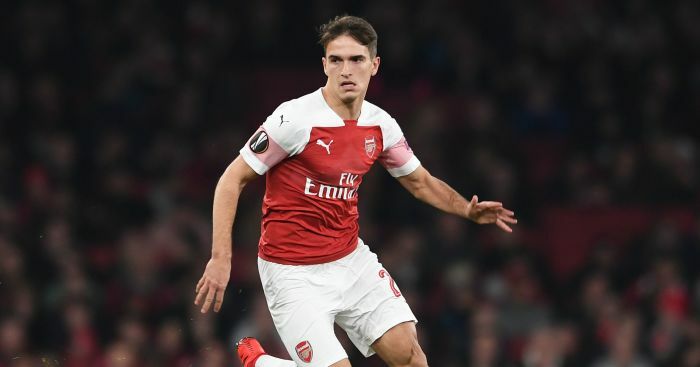 Unai Emery believes Denis Suarez's form over the international break has demonstrated he is ready to excel. 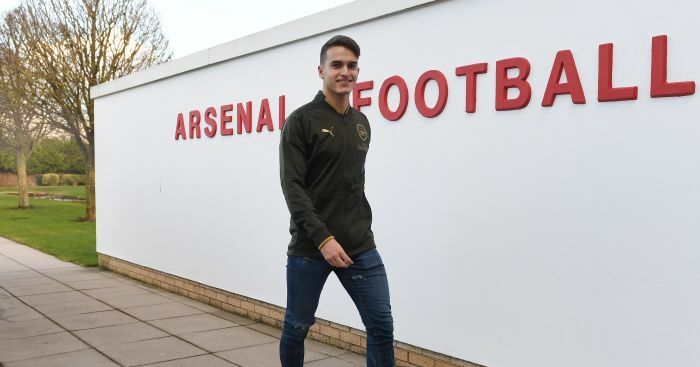 Some critics suggested Denis Suarez was yet to sufficiently impress Arsenal boss Unai Emery in training. Arsenal head coach Unai Emery admits January signing Denis Suarez is still not ready to play 90 minutes. Charlie Nicholas has labelled Arsenal's transfer philosophy as an "absolute joke" after they signed Denis Suarez.